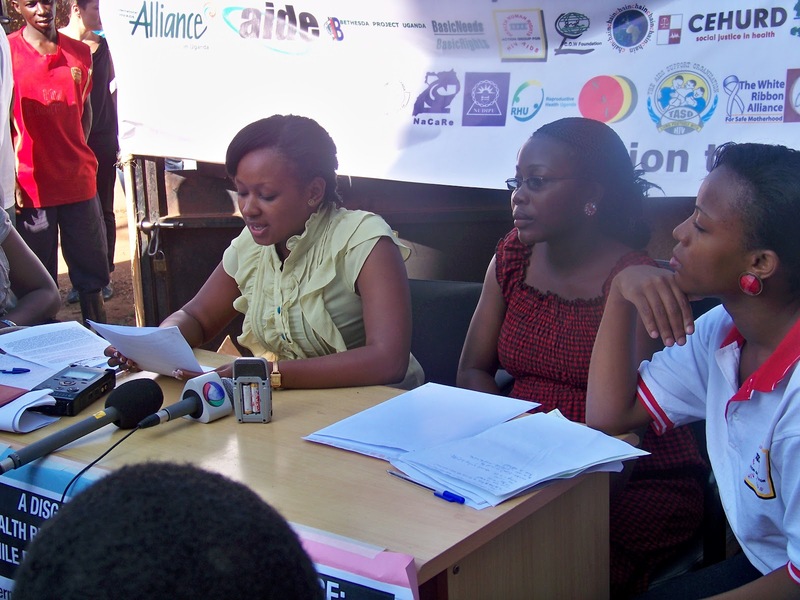 On the 3rd March 2013 the Uganda Human Rights Commission launched its 15th Annual Report on the state of Human rights and freedoms in the Country. According to the Report, the Constitutional Court’s opinion that issues raised in the Constitutional Petition No 16 of 2011 were of a political nature and should be left to the Executive and the Legislature to determine makes it a challenge to enforce the right to health including access to quality health care and services. “It is of great pleasure that the Uganda Human Rights Commission is starting to pay close attention to health issues, said Ms. Noor Nakibuuka the Strategic Litigation Manager at CEHURD. Ms Nakibuuka also commended the Commission for appreciating CEHURD work. According to the Uganda Demographic health Survey 2011, the maternal mortality ratio increased by 1% from 435 deaths per 100,000 births in 2006 to 438 deaths per 100,000 births in 2011. However, the Uganda Human Rights Commission Report estimates that the maternal mortality ratio outside health facilities could be 500 deaths per 100,000 births. This as mentioned in the report is attributed to delay of women to seek medical help, lack of blood products and staffnon-action. In 2011 the Center for Health Human Rights and Development (CEHURD) and three others petitioned the constitution court in Centre for Health Human Rights and Development (CEHURD) and 3 Ors versus Attorney General, Constitutional Petition no 16 of 2011. However, at the hearing of the case, the Attorney General raised a preliminary objection that the issues raised in the petition involve the political questions not within the mandate of the Constitutional Court to handle which was upheld by the Court. The Constitutional Court interpreted strictly the doctrine of separation of powers where by a particular function is restricted to the corresponding organ of government where the personnel of the three organs of Government are distinct and the independence of each branch of government is immune from undue encroachment from any of the others. It is upon this background that the Uganda Human Rights Commission concluded that, this strict interpretation makes it a challenge to enforce the right to health including access to quality health care and services as a Constitutional right. However, the Center for Health Human Rights and Development (CEHURD) filed an Appeal (Constitution Appeal No.1 of 2013) in the Supreme Court challenging the ruling of the Constitutional Court.